Regular attendance at school is essential to ensure uninterrupted progress and to enable children to extend their potential. The attendance pattern for all children is monitored weekly with the school seeking to work actively with parents to ensure a regular pattern is maintained. We expect all children on roll to attend every day when the school is in session as long as they are fit and healthy enough to do so. One of our basic principles is to celebrate success. Good attendance is fundamental to a successful and fulfilling school experience. 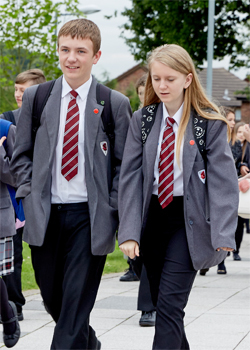 We actively promote 100% attendance for all our students and we use a variety of weekly, termly and annual awards to promote good attendance and punctuality. We encourage children to attend and to put in place appropriate procedures to support this. We believe that the most important factor in promoting good attendance is the development of positive attitudes towards school and learning. We want all children to achieve their full potential. This means that every lesson counts! Children who have time off school find it difficult to catch up, and in secondary schools, 17 school days missed can lead to one GCSE grade lost. The Governors and Headteacher, in partnership with parents, have a duty to promote full attendance at school. Congratulations to all staff and students who are working hard to make all lessons count with 100% attendance. The Oakwood Academy is committed to providing all students with a full-time education experience that maximises each student’s opportunities and allows each to realise their true potential. We believe that if a student is to benefit from education, good attendance is crucial. The Oakwood Academy will give high priority to communicating with parents and students the importance of regular and punctual attendance. We recognise that parents have a vital role to play and that there is a need to establish strong home-school links and communications systems that can be utilised whenever there is concern about attendance.